This seems a safe guess: that most of us would rather not toil for years on defining a consistent brand in the marketplace, only to have it publicly mocked. But sometimes – very rarely – the mockery is not mockery just for the sake of mockery. It is in fact the highest form of respect that any individual or organizational brand can ever be paid. We are not talking about, say, This Hour Has 22 Minutes making fun of Air Canada throwing their passengers’ luggage. Because Air Canada has indeed been caught on video throwing their passengers’ luggage – and throwing luggage is a bad thing – that would be mockery for mockery, intended as an insult. Rather, we are talking about someone making fun of your finest accomplishments, as The Onion, a satirical news outlet, has just done to Southwest Airlines. 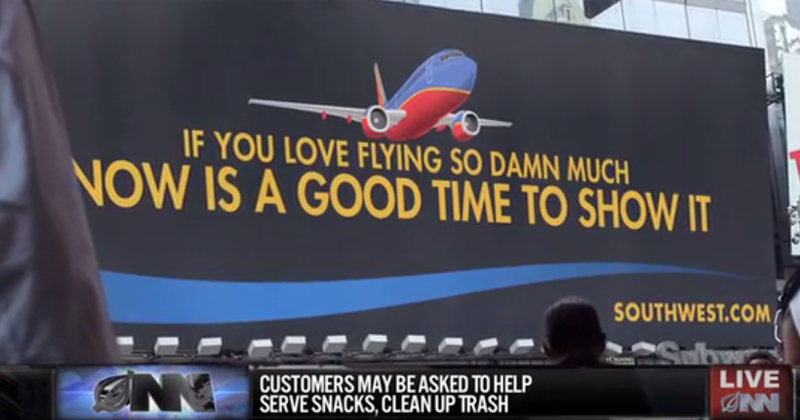 Southwest is the airline that has received the fewest customer complaints of any US carrier since 1987. In 2014, Fortune magazine named them one of America’s Most Admired Companies for the 20th consecutive year. 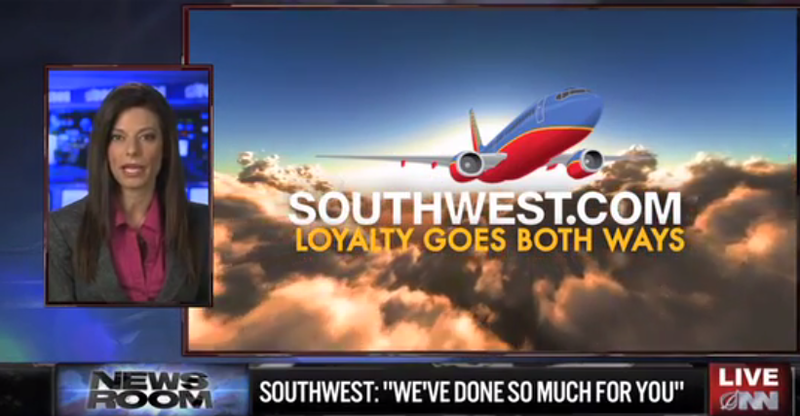 Also in 2014, Southwest enjoyed their 42nd straight year of profitability. All the while, they have been recognized by top publications including Forbes and Glassdoor as one of America’s best companies to work for. It’s been said that making the cover of Time or Rolling Stone is the ultimate sign that you’re a player – that your brand matters. But maybe the ultimate recognition occurs when a publication like The Onion, which treats its targets entirely viciously with regularity – can only make fun of your strengths. It’s not the moment to stop working, but it’s the moment you’ve truly arrived. I was honoured to guest lecture at my alma mater, the Schulich School of Business, this week. Thank you to the accomplished and inquisitive students in the fourth-year social media class of Aleem Visram. My topic: What A Brand Really Is, and How to Express Yours On LinkedIn. This entry was posted in brand advertising, brand experience, consistency, customer service and tagged Air Canada, andris pone, brand loyalty, brand strategy, branding, branding blog, Cache, Canada, Canadian, Coin Branding, Southwest Airlines, The Onion. Bookmark the permalink. Great to know this business is able to maintain a relationship with its primary target market. Only strengthens its secondary market with word of mouth. Business is more than about sales. 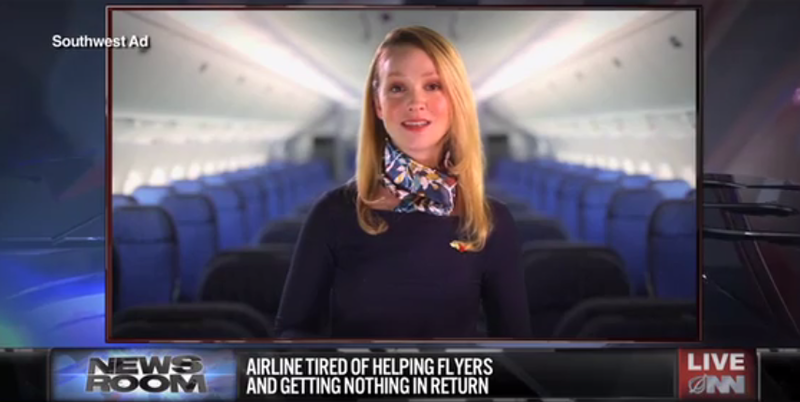 This company proves its a real player in airline industry by turning in profitable results, maintain customer relationships, and striking a chord with media to pick up trump advertising with media from around, the world. Thank you Brendon – and my apologies for taking so long to approve your comment.